Thank you. I found this card on the web already some years ago. I am going to try to find the place. Thank you. I found the place on Google Earth thanks to this card. We can see the roof of houses. unfortunately, i think the spire you saw belongs to newer building, or to a building that may no longer exist. it may have belonged to a house (or club) built by subsequent "owners" of the property. like the passengers in his car." Many thanks Reco for your always amazing maps/satellite images/plans! Have you seen this site that appears similar to google earth but may have different search options? I have only just started working with it. Thank you very much Joanna. This is Illinskoye with this new site you post. http://www.nataturka.ru/usadiba/iliinskoe.html Усадьба Ильинское и много Подмосковных дворянских усадеб! Are there any books on Ilinskoye? 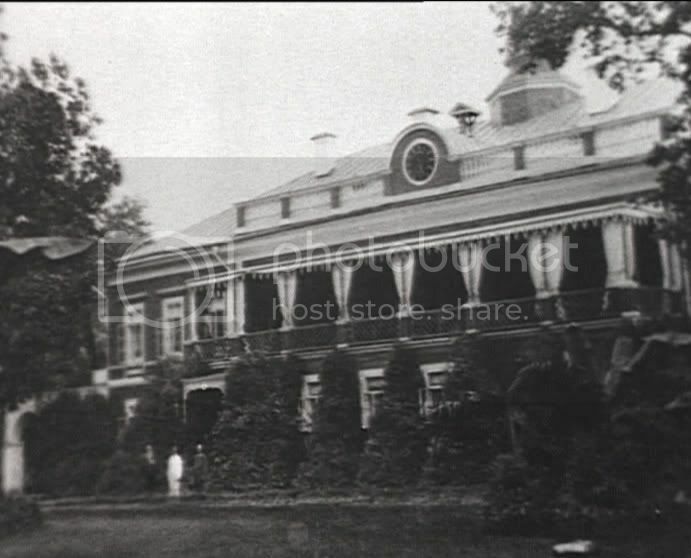 In 1896 after the coronation, Nicholas II, family and guests went to stay at Iliinskoe. He wrote in his diary of excursions to Usovo which was across or down the river from Iliinskoe. The manor house had 30 rooms. It would be interesting to know if Grand Duke Sergei lived here or was it used only for overflow of guests. Yes, GD Sergei lived in Usovo from time to time in the end of 1890s. Also the children of his brother Pavel were settled there every summer. 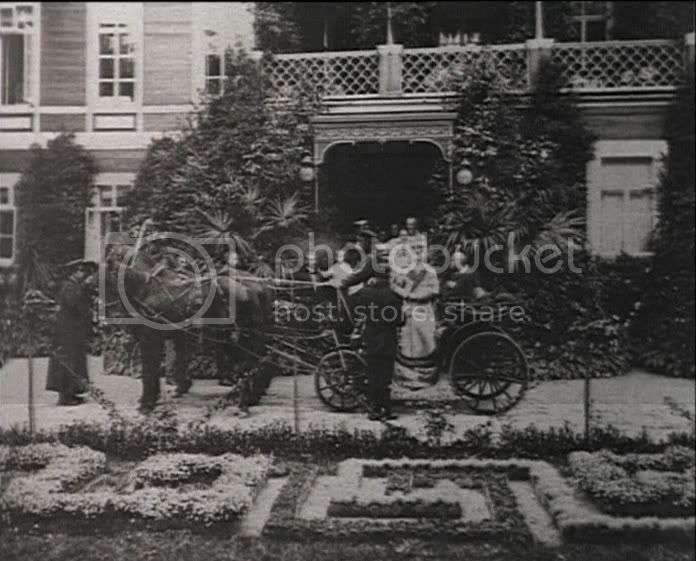 In 1889 Pavel and his young wife Alexandra spent in Usovo their honeymoon. Here are pictures of a park in Ilinskoe , and a view of the Church in the estate in 1896 year. I will be in Moscow in the next couple of weeks (October 2011). I'm trying to convince my husband that it would be worth it to ask our host to drive us out there. My husband checked Russian websites and found that the summer house site is part of a private housing development. He says it is surrounded by a fence and it's not possible to see the house. I would at least like to know where the property is (couldn't find it in Google satellite view) and take a picture of said fence I will do my best to return with some info, although I can't promise for sure. I did get a ride through Ilinskoye, but my kind driver was frazzled by the late afternoon traffic and recovering from a cold. So it was a very rapid trip with no time to stop and figure out where we were, what we were looking at, and whether we could see more from a different vantage point. I got a photo of a forbidding-looking security wall that I believe surrounds the former estate. As Mike wrote back in 2005, it seems to be inaccessible. I noticed only one opening, and it was definitely guarded. There are two parts to the security wall. The lower wall is a solid fence about 12-15 feet (3m) high. There is an upper screen of about the same height. So if you were thinking of swinging from tree to tree like a monkey in order to gain access, that option is out. Or perhaps the screen is so high to prevent tennis balls from reaching the road? There were no signs or advertisements of any kind on the security wall. I will try again with a different driver on a future trip. Although it looks like a private compound, I would like to get the most information I can about what's outside the fence. Also, if you check Google Earth, there are a couple of pictures from the opposite riverbank. All you can see are woods and a white pavilion. I've marked the former estate at 55.755472, 37.226007. A few pictures (not really interesting, but pictures!) 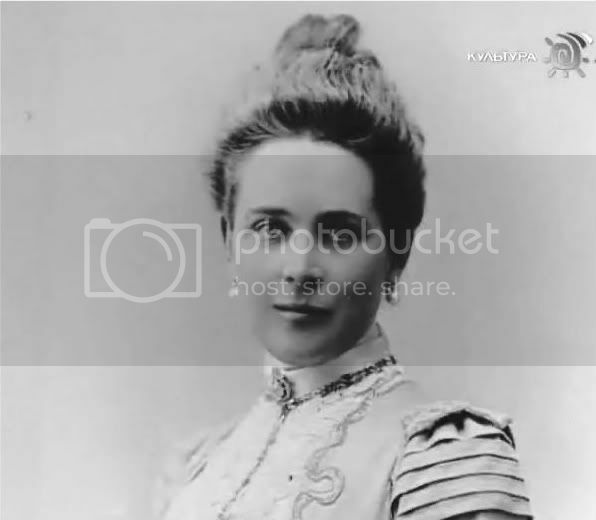 of the estate can be found in I. Kuchmaeva's beautiful book about Elisabeth Fedorovna, Kogda jizn' istinstvuet. The author seems to have had the chance to enter the place. However, I am not sure I can scan them from the book for copyright reason. Wow, thank you, matushka! That's a great find, and contains the best information of all - photos of the inside!